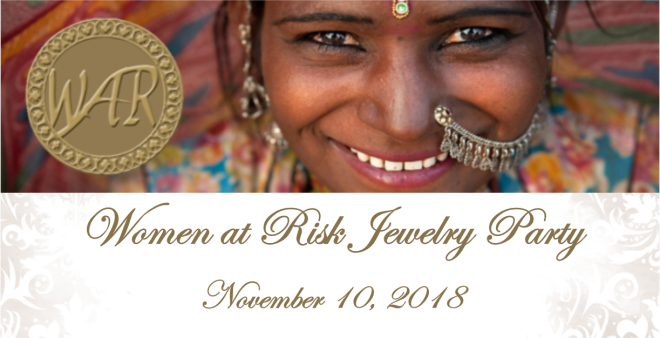 Join us for a Women at Risk International Jewelry Party on November 10th! Shopping hours are 9:00 a.m.-1:00 p.m.
Support victims of human trafficking and do your Christmas shopping by purchasing gorgeous handmade jewelry, scarves, ornaments, and other gifts. Merchandise is hand-crafted by at-risk individuals and survivors of trafficking and other crimes against women and children. All proceeds of this sale go to support efforts to aid these individuals. Stop in anytime between 9:00 and 1:00 to shop with a purpose! Questions? Call us at (920) 468-8565.